Without proper maintenance and vital nutrients, a beautiful landscape can easily fall victim to a number of life threatening diseases. Our disease control and fungicide service is designed to naturally strengthen the immune system of your landscape. 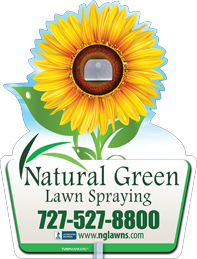 By using organic lawn products, we are able to optimize the health of all plant life ranging from the lawn and palms, to flowers and shrubs. Our maintenance service allows us to keep a knowledgeable eye on the health of your lawn in order to help prevent the spread of any potential diseases. Just like the human body, it is important to have a naturally strong immune system that can fight off the threats of various diseases. Your lawn and landscape also have immune systems that are designed to fight off a sickness. Instead of using chemically laden medications or antibiotics, many opt for natural remedies that do far more than any prescription drug. This same idea can be applied to a healthy landscape maintained by Natural Green. We have researched and developed the best natural and organic fungicide products that promote the vitality and health of a beautiful and thriving landscape. Instead of giving your lawn and landscape a quick chemical fix, we get to the root of the problem with the help of natural products that render life-long benefits. Florida lawns have a pretty tough job that goes far beyond staying green and beautiful. 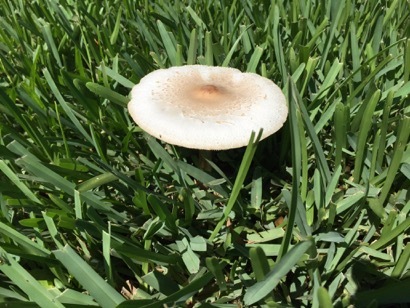 Because of nasty fungi like Take-All Root Rot and Brown Patch, your lawn has to be strong in order to perform at its best. During each maintenance visit, our technicians perform an inspection in order to assess andtreat any threat that has the potential to grow out of control. By using specific treatment methods designed for the lawn, we are able to minimize anderadicate trouble spots found around your lawn. The large variety of palm trees and shrubs that beautify a landscape require proper care and attention in order to maintain their strength and beauty. At Natural Green, we are well aware that each plant or tree must be treated and cared for in a specific manner. Our technicians are trained to effectively use our products to treat each plant and tree so that they can fight off the threat of diseases. For a free analysis and more information about our natural anti-fungal service, click on the link below to schedule an appointment with one of our knowledgeable and friendly technicians. Or you can view more information about our monthly plans.